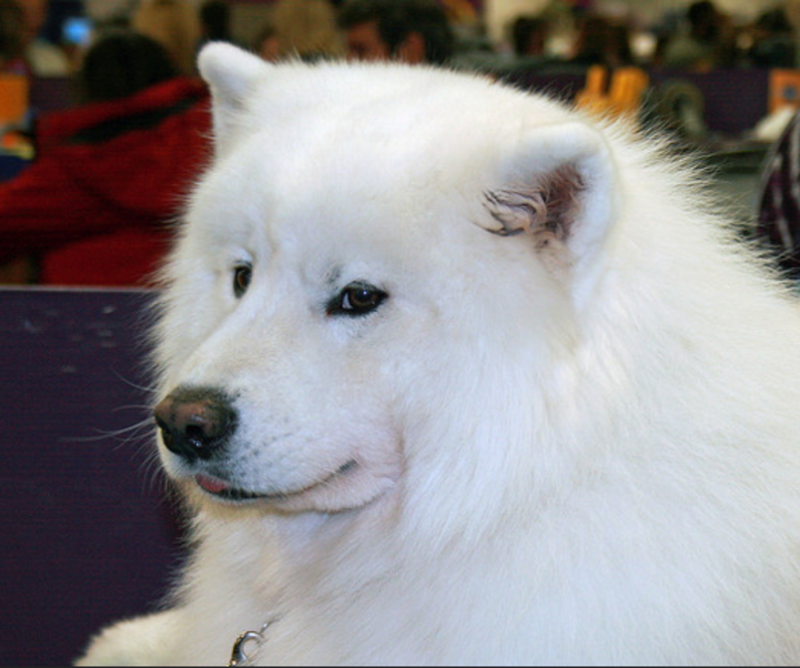 The Samoyed dog breed is stunning for many reasons. One of the most stunning features of this breed is of course the white thick coat which protected these elegant dogs from the harsh -60 degree temperatures as sometimes witnessed in the Siberian town of Oymyakon. In the old days, Samoyeds were the working partners of the Samoyedic people of Siberia who survived by herding and breeding domestic reindeer. Another amazing feature of the Samoyed dog breed is the breed’s “smile,” a distinguishing trait that further adds to this breed’s appeal. 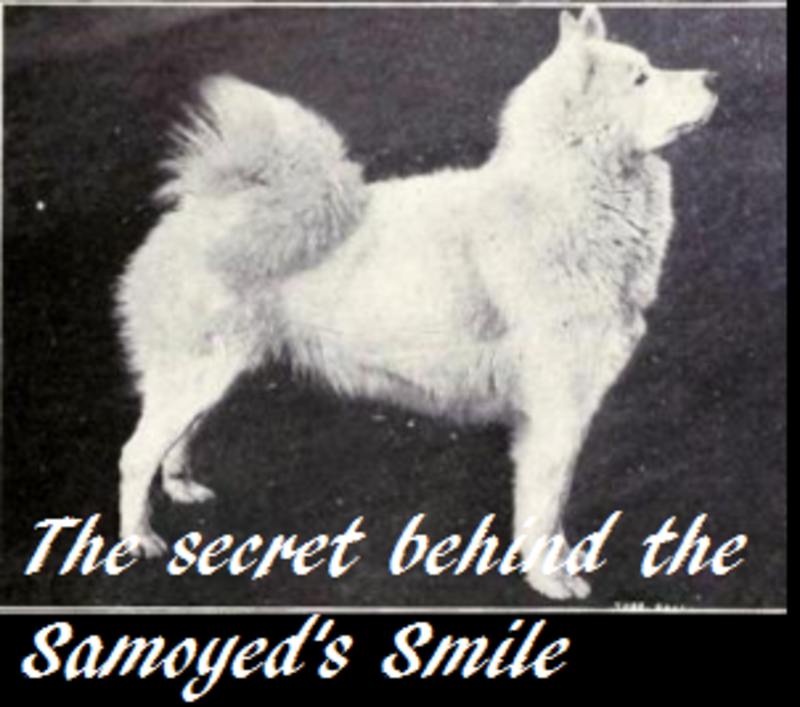 Today, we’ll be discovering the secret behind the Samoyed’s smile. For a good reason the Samoyed dog breed is nicknamed as “smiley;” indeed, this dog breed really sports a “smile!” The smiling trait of this breed is even mentioned in the breed standard. Why would a Samoyed need to sport a smile? Many may think that this breed was selectively bred this way just because it’s a cute trait that’s appealing to prospective dog owners, but in reality that “smile” has a function, and a very important one too! According to the American Kennel Club, the Samoyed’s perpetual smile has a practical purpose: those upturned corners keep these gorgeous dogs from drooling.What’s the problem with drooling? Most dogs drool with no problems after all! Drooling may seem like an innocuous happening in the average domesticated dog living in a warm, cozy home, but it could turn particularly problematic in a dog living in a harshly cold climate as those droplets would quickly freeze and soon icicles would be forming on the Samoyed’s face! Putting the smile’s functional purpose aside, the Samoyed dog breed is a friendly dog by nature with a “jolly” sense of humor. Because of this breed’s gentle disposition, it’s not unusual to see them working as therapy dogs bringing a smile to children and senior citizens. According to standard, the Samoyed breed is smart, loyal and eager to do things. 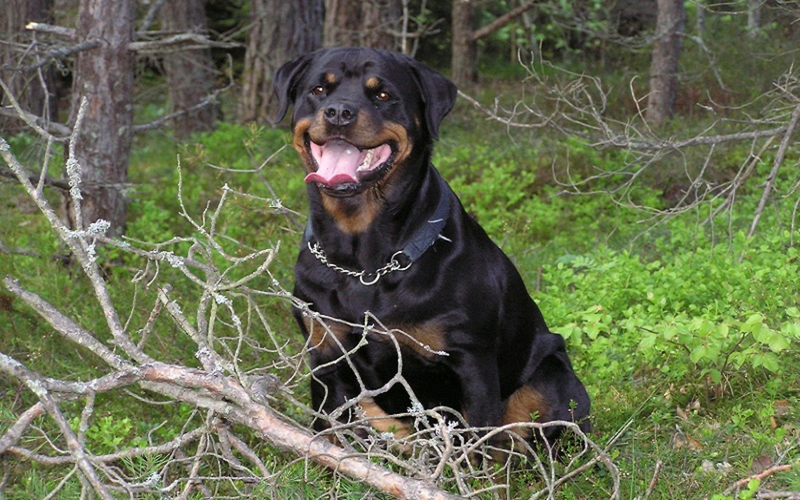 This is a dog breed that thrives on attention and wants to be in company of his family. These traits make this dog unsuitable for a family who is away for most of the day. Being left alone in a kennel all day or secluded in the yard, will make these sociable dogs deeply unhappy and prone to behavior problems. So prospective dog owners should make sure to keep these social dogs in good company so to keep these lovely dogs smiling inside and out!